Regular readers will know we have been following Zac Miles’ MK1 Golf for some time now, and Zac’s car is actually the 1st MK1 Golf in the UK to be fitted up with an Air Lift Performance threaded body strut kit. 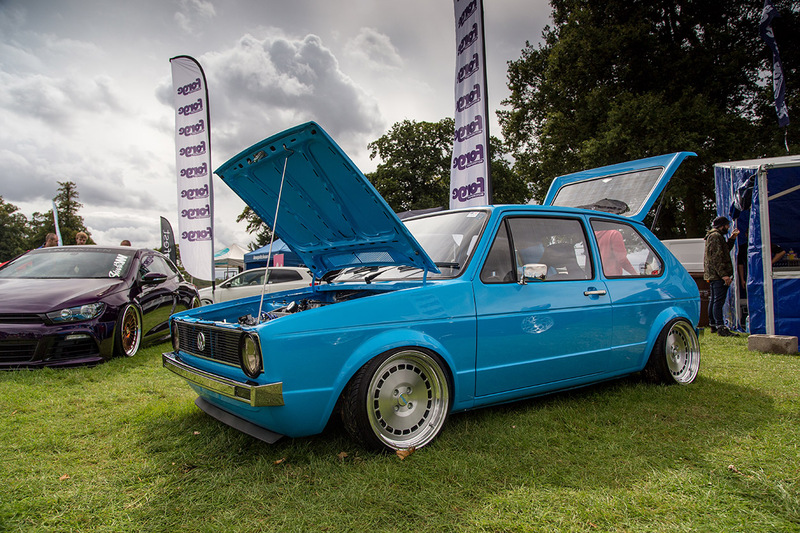 Regular readers will know we have been following Zac Miles’ MK1 Golf for some time now, and Zac’s car is actually the 1st MK1 Golf in the UK to be fitted up with an Air Lift Performance threaded body strut kit. To say we were looking forward to seeing the outcome would be an understatement, and Zac certainly hasn’t disappointed! 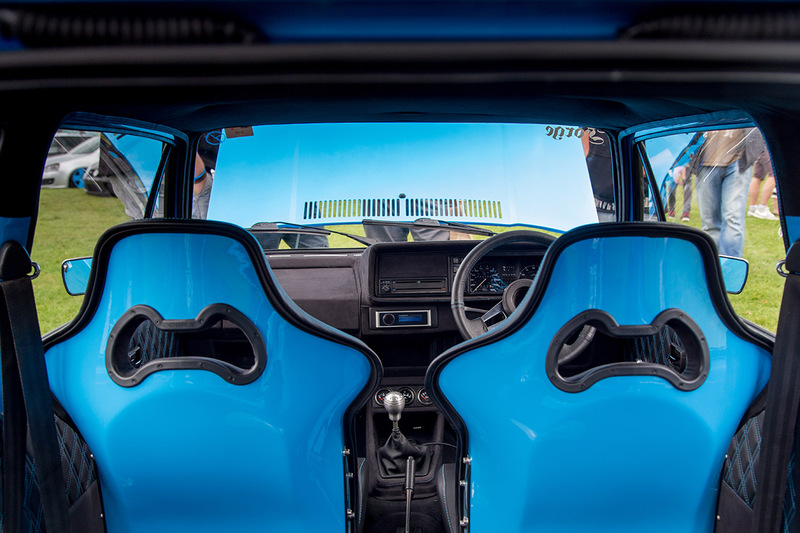 Perhaps most striking of all is the monochrome blue and silver theme running throughout the car. The ‘stratos bleu’ color is perfectly in keeping with the lines of the MK1, but this particular project actually started out orange when Zac acquired the car and first began stripping it at Forge Motorsport HQ just over two years ago. Since then the project has blossomed into Zac’s ideal MK1. Outside the MK1’s lines have remained untampered with, save the shaving of trim holes here and there. And rightfully so – it’s a classic shape! Underneath the guys at Forge have gone to town with the chassis and alongside restoration work have also raised the strut towers by 1″ and massaged the chassis legs for running gear clearance. Something you might not notice upon first glance are the custom fabricated stainless steel bumper end caps front and rear, Luke at Forge has made these by hand to show off the wealth of fabrication talent at Forge Motorsport. 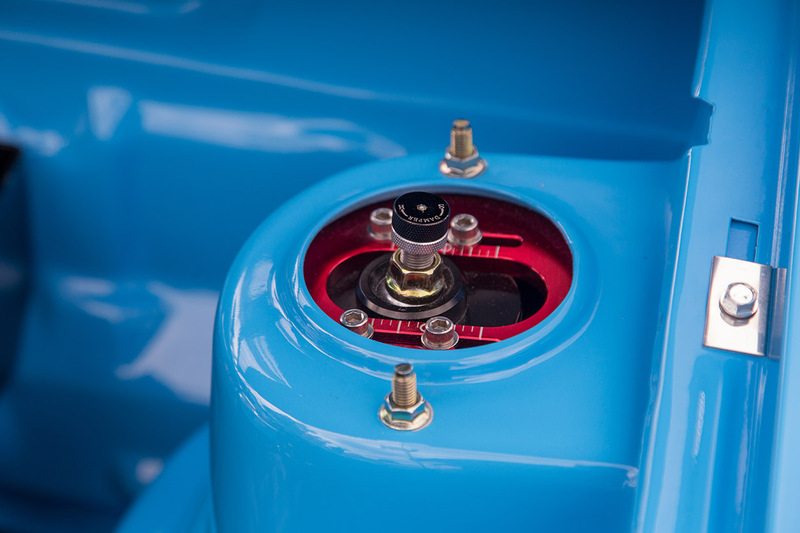 The whole build is peppered with neat, hand fabricated touches which really sets this car apart. At the heart of any show car is the stance. Get it wrong and all your hard work could go to waste. 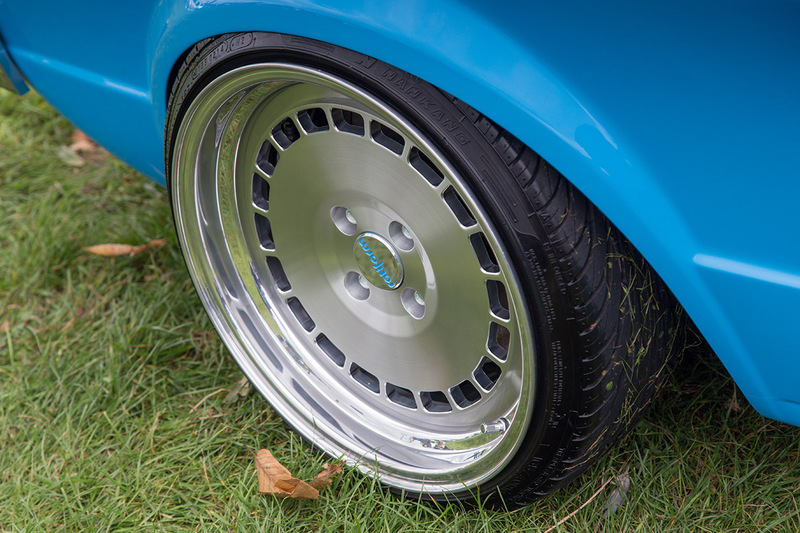 Zac chose to run Air Lift Performance threaded body struts and V2 management to get the MK1 laying low over the unique Rotiform wheels. It’s a classic fitment with not too much poke, just enough tire outside the arch to sit the car up off the floor. A huge advantage with the Air Lift kit came in the form of the adjustable camber top mounts, ‘the top mounts really helped me dial in the stance, they give a balanced amount of camber between the front and back axle and allow me to tuck a larger wheel up front without pulling the arches too much. It was important to keep the arch line’ explains Zac. 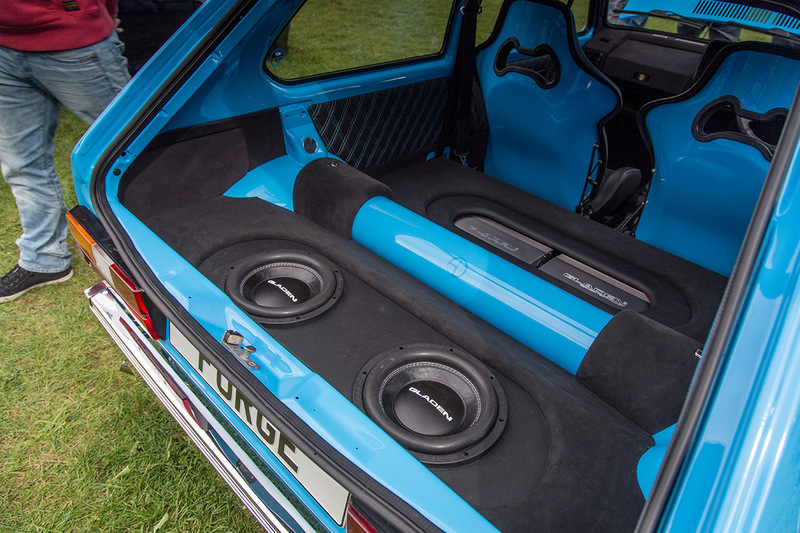 Inside Zac has enlisted the help of pro installers Studio Incar to build out the interior and audio in the car. All audio is high end Gladen hardware run by a superb Moscani head unit. The Cobra seats are color matched to the exterior and a contrasting blue stitch is applied to the door cards and seats. Everything works so well and the build as a whole gels together seamlessly. But guess what? This is Zac’s first bite at the show car cherry! In fact its actually Zac’s very first car. With a build quality and attention to detail this high, we’re excited to see where this build goes next. Inside the engine bay sits a highly detailed 1.8 8v motor. Although if Forge Motorsport’s other MK1 is anything to go by… i think this might be set to change once Zac gets some miles under his belt!